Warehouse wifi can be challenging for many reasons. Here are some common problems and fixes for what we have seen in the past. Updated firmware will have bug fixes, newer standards and other enhancements that will help clients work better with access points and vice versa. Older client firmware on wireless adapters very often exhibits “sticky client” behavior where it will associate to an access point and hold on to that association until that signal is gone. However, all along there were closer access points for it to associate to that would have provided a more optimal connection. Update your firmware! 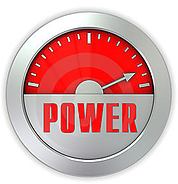 Maxing out the power levels on the access points is not a solution to poor coverage or poor performance. It is actually a problem in itself. 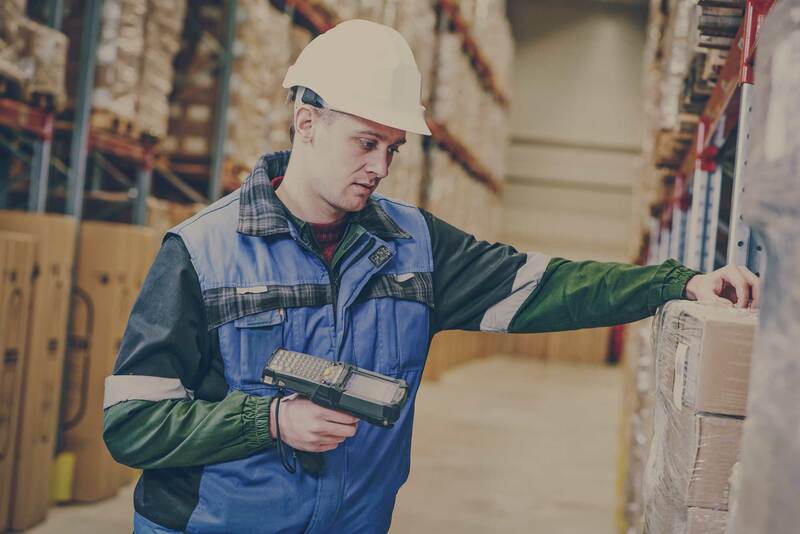 By cranking the power level to full a situation is created where a client can actually “see” an access point that may be on the far side of the warehouse. This becomes an issue then when the client associates to that access point when there actually may be a closer one to them. Set the power to 50% and make small increments up and down to find a good balance of power and wifi coverage. 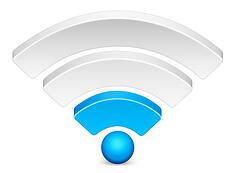 There are different wifi antennas and each is made for a specific purpose. Directional antennas are made to focus RF into areas for coverage whereas Omni-directional antennas are designed to provide 360 degrees of coverage. However, if I placed an Omni directional antenna on a ceiling 25 to 30 feet in the air my upper shelves in my warehouse would get great coverage but my clients on the floor would not. The directional antenna would be a better choice aimed at the ground to create a cone of coverage and not a floating donut up in the air. Legacy access points that use diversity antennas have a proper method of operation. If, however the antennas were improperly aligned or aimed there would be detrimental performance effects. In the case of directional antennas aimed in direct opposing locations a phenomenon referred to as “hidden node” would be created. This “hidden node” occurs when two clients in opposing directions connect to the same AP. Because they cannot “see” each other they send packets without coordinating with one another which causes collisions at the access point corrupting the data and causing performance issues. Antennas on the same access point need to be aimed in the same direction. 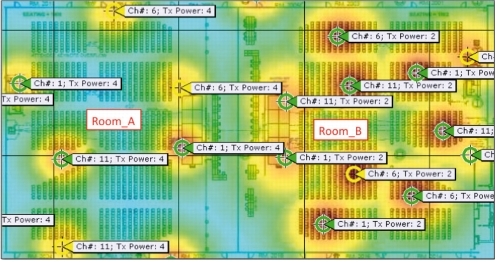 Most warehouse WiFi network deployments are utilizing the 2.4Ghz radio spectrum which is constrained to just three channels which do not overlap or interfere with each other; channels 1, 6 and 11. I have seen some creative 4 and 5 channel designs where the channels in use are all interfering with each other. Without going into a whole dissertation on 2.4Ghz channel allocation we will keep it simple and tell you do not stray from using these three and only these three channels when using 2.4GHz for your WiFi. Many handheld scanners in use today were built for 802.11b communication. When 802.11b devices are sharing the same SSID as 802.11g devices they are brought down to the lowest common denominator data rate which is 11 Mbps. This is a shared medium so if you have a lot of devices connecting to the access point or you need better speeds look at moving the b devices to their own SSID. Warehouse stock pickers, forklifts and tow motors often have small computers or wireless devices installed on them to perform stocking and picking functions. When these computers, which have wireless cards installed in them, are installed on the vehicle they are sometimes placed inside the protective metal mesh cages surrounding the operator. The metal mesh cage blocks or severely inhibits RF performance. Extending the antennas to the outside of the cage will fix or greatly improve the RF functions. Without proper planning which includes taking into effect the materials stocked on warehouse shelves your wifi performance could be lacking. Different materials will have different effects on wireless performance. A warehouse stocking mattresses and pillows will perform differently than one with metal shelves holding metal bins with metal parts. A proper site survey and RF design will go a long way in avoiding future performance issues. To reinforce the previous solution is another design issue. Having too many access points is almost as bad as having too few. Because most warehouse wifi networks were designed and deployed with access points using 2.4GHz spectrum the channel selection is limited. Because of the limited channel selection it is very easy to induce another issue called “co-channel interference”. This type of interference happens when the access points are stepping on each other and is harmful to the performance of your network. This issue is typically intensified with the full power setting we discussed earlier. Have a proper design done and if possible deploy a newer Wi-Fi system that automatically adjusts power and channel settings for you. 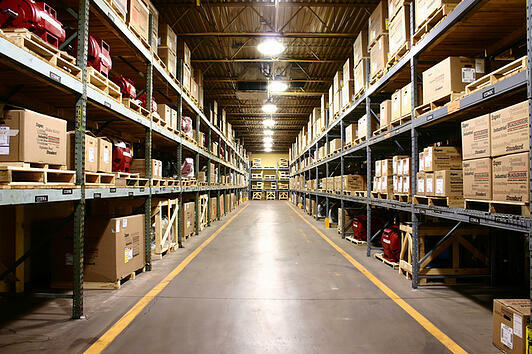 As you can see there are a lot of factors to include when thinking about deploying wireless in a warehouse space. Having seen these environments and the above issues many times we can help you avoid them from the start. Next Post: iPads in the classroom: Teachers love them too!